The Biggest Lesson from Alexandria Ocasio-Cortez’s Win? Run on Democratic Socialism. The 28-year-old Latina scored the biggest upset of 2018 by rejecting Democratic Party orthodoxy and running on a laser-focused message of economic justice. If other candidates want to win, they should follow her lead. By challenging the power of Wall Street and corporations, and refusing to accept any corporate PAC money, Ocasio-Cortez was able to run a campaign that took on the big money interests that dominate both major parties. Clocking in just around 16 seconds, Ocasio-Cortez, a 28-year-old democratic socialist, was able to articulate a clearer and more captivating message than the entirety of the Democratic Party establishment could come up with over the course of the 2016 election. Host Mika Brzezinski acknowledged how refreshing it was to hear a Democrat speak in such straightforward terms, yet warned other candidates not to “steal her message” and to come up with their own. However, if Democrats want to win in 2018 and beyond, then cribbing from what Ocasio-Cortez ran on in New York’s 14th District is exactly what they should be doing. Her campaign essentially rewrote the rules of Democratic Party politics, tossing out the window the previously accepted orthodoxy that big money is the path to victory, and that outspoken socialists are too far left to win election to the U.S. Congress. And as a millennial, working-class Puerto Rican woman from the Bronx, Ocasio-Cortez proved that, in 2018, challengers from the most unlikely backgrounds are capable of toppling entrenched, machine-backed Democrats. Her opponent, Rep. Joe Crowley, was an embodiment of a career politician, having been handed his seat in 1998 by a predecessor and for years serving as a party boss detached from the communities he was elected to represent. He outraised Ocasio-Cortez 10-to-1, spending more than $3 million on the race, much of which came from big banks and tech giants. He had the support of dozens of elected officials including New York Sen. Chuck Schumer and Gov. Andrew Cuomo. He was seen as a contender to become the next Speaker of the House. And yet he was drubbed, losing 57-42 to an avowed democratic socialist who had never before run for office. So what can other candidates learn from Ocasio-Cortez’s shocking victory? 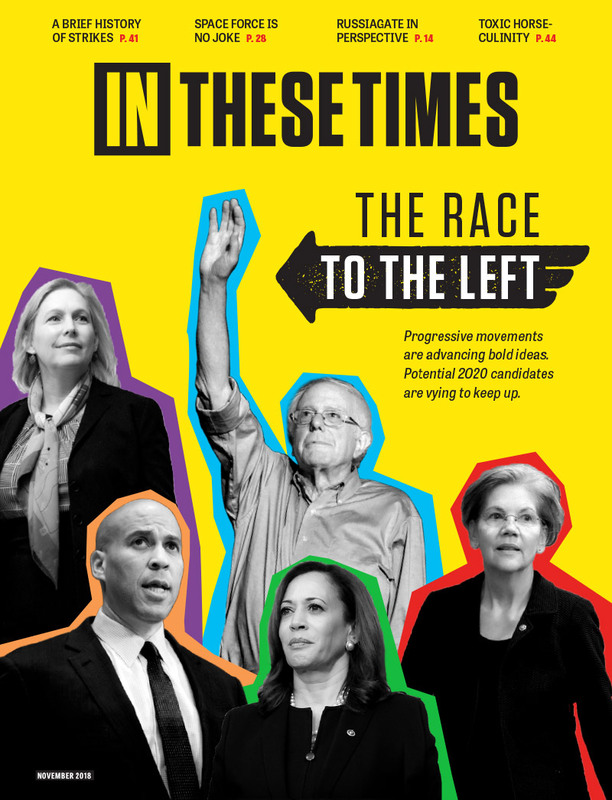 First off, rather than offering tepid, weak tea solutions to the torrent of crises facing working-class families, as has been many Democrats’ preferred strategy, Ocasio-Cortez veered left, putting forward transformational proposals built out of movement demands: Medicare for all, a federal jobs guarantee, a Green New Deal, a Marshall Plan for Puerto Rico, the human right to housing, an end to for-profit incarceration, free public college, demilitarizing the police and abolishing ICE. As a candidate propelled by social movements—and backed by such groups as the Justice Democrats, Our Revolution and the Democratic Socialists of America—she was able to attract an army of volunteers who helped make her improbable win a reality through their tireless efforts. On Sunday, two days before the election, Ocasio-Cortez was not campaigning in New York but instead at a border checkpoint in Texas, protesting the inhumane detention of immigrant families by the Trump administration. Her unwavering advocacy for immigrant rights led to her early call to abolish ICE, once a fringe position that has been gaining traction among Democratic representatives and candidates in recent weeks. With reports of immigration officials separating thousands of families, attacking and detaining attorneys and beating and drugging innocent children, the public’s moral outrage has translated into political momentum to defund and dismantle ICE, an agency that’s sole purpose is to make life more horrid for those who attempt to enter the United States. On Monday, Rep. Mark Pocan (D-Wisc.) announced he will be introducing a bill in the House to abolish ICE, which Ocasio-Cortez will soon be able to sign on to as the expected next representative from New York’s 14th District. Ocasio-Cortez is also a former organizer for Bernie Sanders, having mobilized his presidential campaign in New York City. In 2016, Sanders demonstrated how to mount a candidacy around making ambitious demands outside of the Overton window—and many of the policies he ran on now also make up Ocasio-Cortez’s platform. Regardless of how Sanders is viewed by the Democratic establishment, it’s difficult to argue with the fact that the policies he’s long championed, from single-payer healthcare to free college, are now becoming mainstream in the party. Ocasio-Cortez has now shown that an even more visionary set of policies is capable of winning a high-profile Democratic Congressional primary over a 10-term incumbent. And on the issue of socialism, Ocasio-Cortez has not shied away from embracing the label, explaining it as an ideology based upon equality and democracy. By connecting her core campaign message to these basic tenets, she was able to provide a persuasive expression of socialism to voters, grounded in moral clarity. “To me, what socialism means is to guarantee a basic level of dignity,” she told Vogue. “It’s asserting the value of saying that the America we want and America we are proud of is one in which all children can access a dignified education. It’s one in which no person is too poor to have the medicines they need to live. The fact is, the type of policies supported by Ocasio-Cortez are largely popular among the public, and socialism is growing in popularity among Americans, especially younger people. It’s no overstatement to say that Ocasio-Cortez has upended the Democratic Party. Her victory—along with wins by other left challengers in Tuesday’s primaries, including Ben Jealous in Maryland and Emily Sirota in Colorado—shows that the energy in the party lies squarely with its left wing. By challenging the power of Wall Street and corporations, and refusing to accept any corporate PAC money, Ocasio-Cortez was able to run a campaign that took on the big money interests that dominate both major parties. She showed that voters respond when they’re given the option to support a candidate who speaks for them and targets concentrated economic power as the root cause of many of the issues facing them in their daily lives. Rather than simply converting traditional voters in the district, her campaign effectively reached out to and energized a new swath of the electorate. And she was rewarded at the ballot box. The day following her victory brought a new litany of horrors, from the Supreme Court’s monumental anti-union Janus decision to the announcement that Justice Anthony Kennedy plans to retire, threatening the future of abortion access, affirmative action and many other critical protections on which Americans rely. But if the party hopes to mount a credible challenge to Trump and the GOP, take back Congress in 2018 and actually shift the direction of our politics to benefit working people, the path forward is being blazed by Alexandria Ocasio-Cortez. Democratic candidates don’t have to steal her message. But if they want to win, it’s the best place to start. yet warned other candidates not to “steal her message” and to come up with their own. Clearly, what is needed is not a re-launch but rather a rethink. Rosa Luxemburg explains why: '...people who pronounce themselves in favour of the method of legislative reform in place of and in contradistinction to the conquest of political power and social revolution, do not really choose a more tranquil, calmer and slower road to the same goal, but a different goal. Instead of taking a stand for the establishment of a new society they take a stand for surface modifications of the old society” (Reform or Revolution). I'm not sure which represents the best solution -- out and out socialism or a Scandinavian-type system which uses the means of capitalism to accomplish the goals of socialism. In either case, the current system is truly a crime -- a far more serious crime, in fact, than any of the crimes sensationalized by the corporate media. 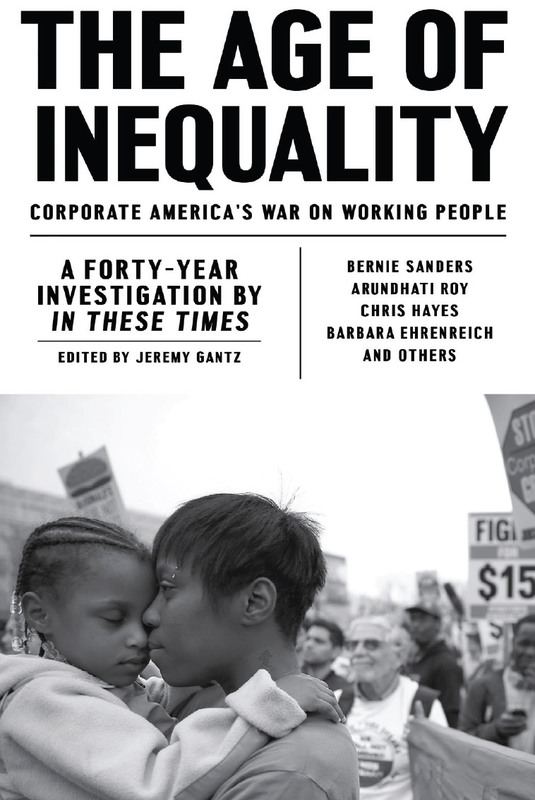 We've been moving in the direction of greater and greater inequality for a long, long time. The rich have become richer and the powerful even more powerful. Personally, I'd favor a system where the richest one percent were neither allowed to vote nor allowed to become politically involved in any way. They've had way too much power for so long that the only amount of power I would allow them to retain is NONE! Democrats are not progressives or part of the left. By virtue of the fact that they're Democrats they're moderate warmongers, union busters and racists no matter what their lies to the contrary. Everyone associated with the DP or the RP is pro-capitalist and an enemy of workers, unions, world peace and the struggle against racism. If they didn't want to be associated with immigrant bashing racism, union busting, wars of aggression and attacks on the standard of living of workers they'd become revolutionary socialists. The political power of the left will emerge as we continue to build unions and the Fight for 15 and as the antipathy of unions for the right wing pro-Democrat misleadership of the AFL-CIO and the CTW gains enough weight to turn those unions to the left. 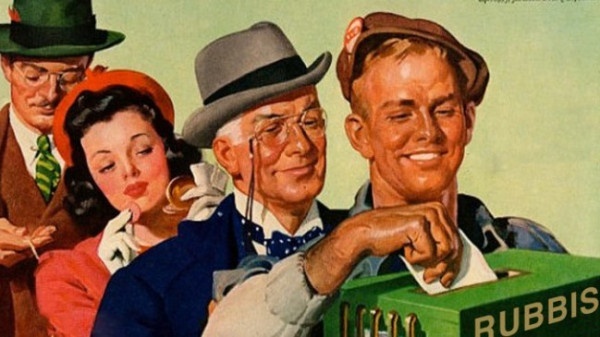 In a banana republic like the US elections and electoral activity are only appropriate as vehicles for educating and political arming workers in our battles against the rich. Pretending that voting changes things is silly. I'm sure the corrupt DNC will nip all this in the bud and give us a losing candidate like Biden to spout feel good slogans, girl power and go down in defeat against Trumps lies that the media whore coverage he gets 24/7. Will these 'newfangled' socialists pledge not to leave Congress wealthier than they went in? It's true that Trump/Hitler comparisons are continuing to mount. Hopefully the US Constitution will prevent him from going that far. But Hitler was worshipped as a false God as well. Where homelessness is concerned, the biggest enemy of housing affordability and availability are restrictive zoning ordinances which effectively prohibit alternative housing, such as rooming houses, from ever being built. But with this lady's astonishing victory, creativity is in the air and crackling with potential. Let's just hope that the residents of her district will hold her feet to the fire and make sure she doesn't defect to the whims of the big money interests. Big money corrupts everything it touches. Any questions? true leftists and progressives should leave the Dems for good. might be painful for a while, but things can change. after Trump, maybe people realize America isn't immune to totalitarianism. Ocasio-Cortez like Sanders is not a threat to the status quo: she too is a social democrat urging the 99% to take another spin on the reformist misery-go-round. Capitalism has outlived its usefulness. With a world of production for use not profit, many seemingly intractable problems would cease to exit. Here's just one of many examples: the National Alliance to End Homelessness reported recently that on any given night, there are over 578,000 Americans sleeping on the streets. At the same time, there are at least 10 million homes across America that are lying empty.